To keep you up to date, we ask you to sign up to the Lamp House Music Mailing List, you will then be the first to hear of any news, events and offers. We will adhere to GDPR and not share your details with anyone else. You will be able to unsubscribe, should you wish, at any time. 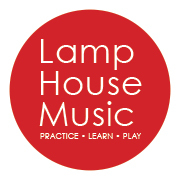 How did you find out about Lamp House Music? Lamp House Music will use this information to occasionally email news and updates about Lamp House Music. You must check the box below to give us your permission to do so. Thank you. You can change your mind at any time by clicking the unsubscribe link in the footer of any email you receive from us, or by contacting us at info@lamphousemusic.co.uk. We will treat your information with respect.